In the interests of trying to pretend that I am a ‘proper artist’ I have put together a wondrous new online portfolio to showcase some of the art that I am not entirely embarrassed about. It is predominantly blue. 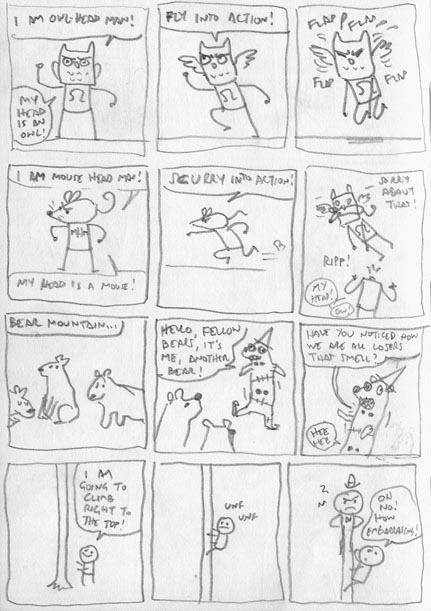 This entry was posted in News and tagged art, blue, dead professional, portfolio on September 30, 2009 by eruditebaboon. I have just realised Dan is spinning in the wrong direction. 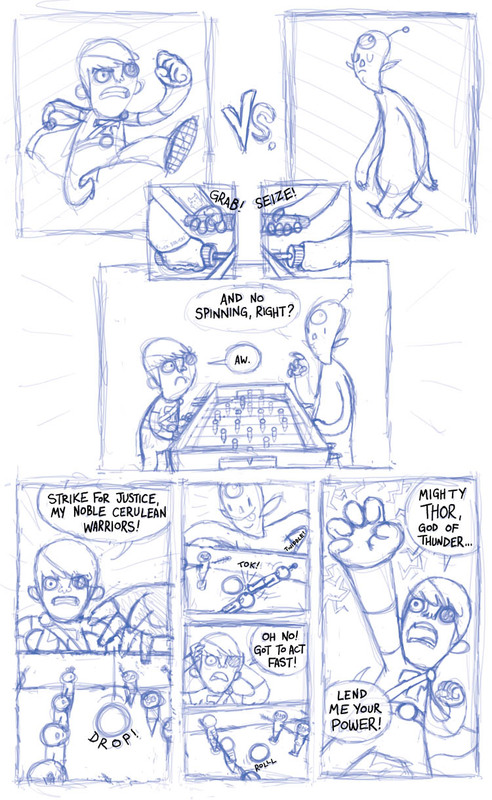 I am never drawing a comic with a table football table in it ever again. 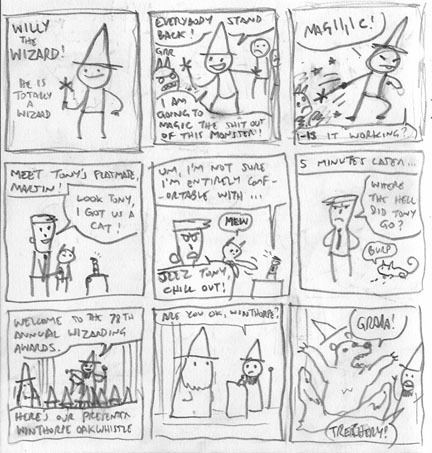 This entry was posted in Comics, News and tagged comic, dan tastic on September 27, 2009 by eruditebaboon. 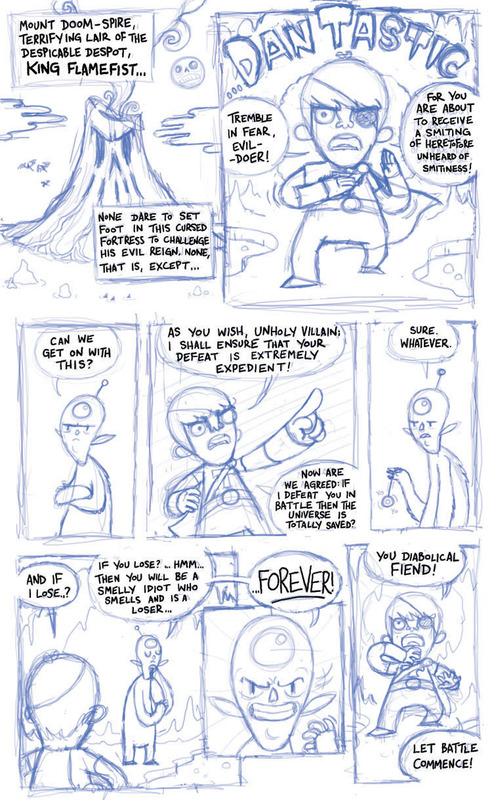 Here are the pencils for page two – let me know what you think! Terrible overblown perspective, you are my new best friend. 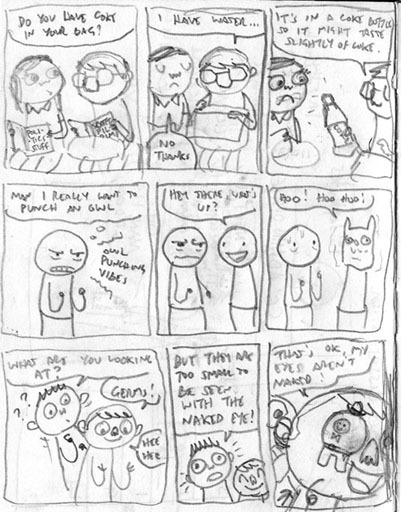 This entry was posted in Comics, News and tagged comic, dan tastic, perspective gone terribly terribly wrong on September 24, 2009 by eruditebaboon. 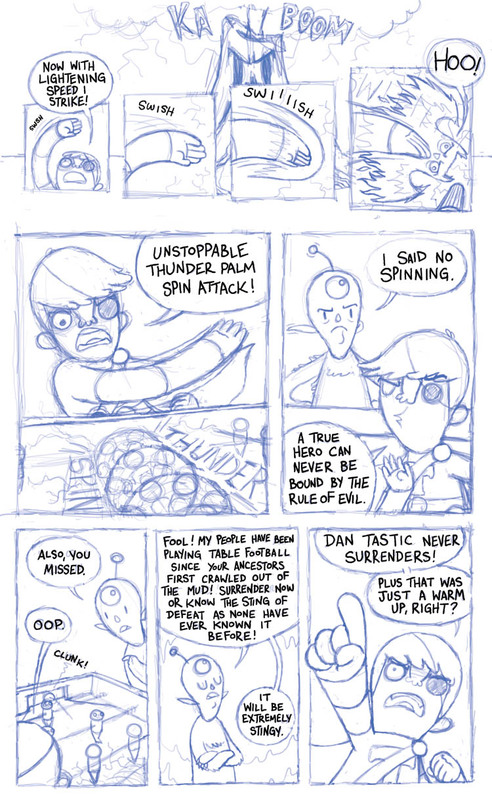 This entry was posted in Comics, News and tagged comic, dan tastic, work in progress on September 22, 2009 by eruditebaboon. 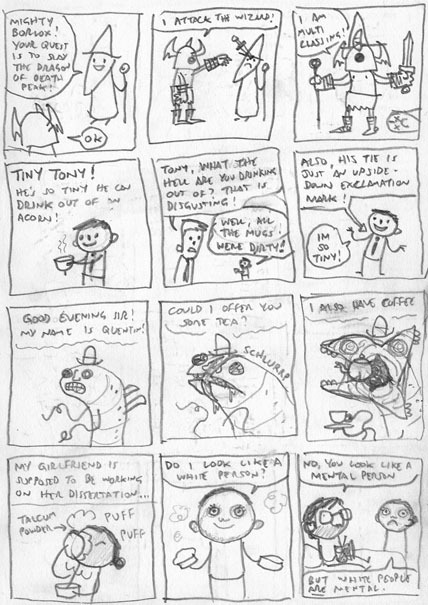 This entry was posted in Comics and tagged really bad comics on September 4, 2009 by eruditebaboon.